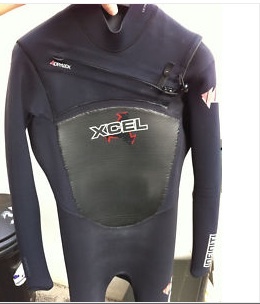 I don’t even surf, but after reading this eBay UK listing for a slightly worn wetsuit I almost want to buy it. 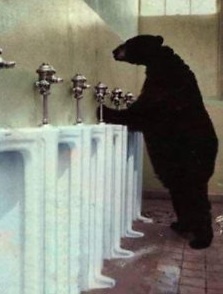 The seller, Dan Morgan, manages to work in “an old man’s testicle,” his own hygiene habits, and a “bear using a urinal.” The key to good advertising copy is to tell a story. He’s doesn’t just describe the “used XCEL 3-2mm Infiniti Drylock Summer Wetsuit” for sale, he wraps a narrative around the wetsuit. The listing is already going viral. Seeing a marketing opportunity, XCEL Wetsuits is donating a second, brand new wetsuit to the winner, and DryRap is getting in on the action too by throwing in their changing towel, so to speak. The bidding is up to 640 Pounds, even though Morgan bought the original for only 300 Pounds. He will donate 90 percent of the proceeds to the Red Cross for Japan relief. The listing is brilliant, as they say in Britain. Unfortunately, eBay doesn’t think so. Morgan says he’s been contacted about some of the language and “unprofessionalism” of the listing (they don’t like the picture of the bear, apparently. Maybe it’s got something to do with false advertising). As a result, eBay is threatening to remove the listing. But it’s not offensive. (Brits are allowed to swear, see all of Paul Carr’s posts). It’s just good marketing. And almost all the money is going to charity, so eBay would look pretty callous if it does remove it.